Dwarfs Versus Mermaids: The Finales of Two Fantaseryes Tonight! Two Primetime fantaseryes are yet to end tonight! They were both having their own fights! One is fighting under the land while the other is having a battle under the sea! Both the Kapuso and Kapamilya networks will once more give us two TV series ending tonight. This time, they were both fantaseryes! Which of these two telefantasyas will give us a magical finale?! If last week, a Koreanovela via "The Baker King" and a fantaserye via "Imortal" concluded, this week two fantaseryes of two different themes will end! The cutest mermaid "Mutya" is struggling to live peacefully. Her father Irvin (Alfred Vargas) will fight together with his soldiers against the evil forces of Octopina (Malou Crisology). Octopina killed Mutya's known father (Jason Gainza). Will Mutya can finally live together with her real mother Cordella (Precious Lara Quigaman) and merman father Irvin?! Another cute little creature under the land is also having their own fights. Dwarfina (Heart Evangelista) will facing their ultimate evil queen Romera (Angelika Dela Cruz). Together with her loyal troops, they will defeat the wicked conqueror! Will the clan of white good dwarfs finally regain glory in the end?! 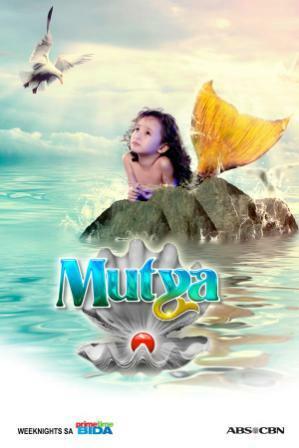 "Mutya" and "Dwarfina", two little creatures are now facing their endings! Which of the two will you watch?! Which of them will you support on their last fight? !